If you have any questions or want to enquire about dates, use our form to contact Martinn Jablonski-Cahours or see their website for more information. A gem of a pied-à-terre for two, right in the middle of old Paris. Step through the secluded cobbled courtyard to this ground-floor flat; the door opens into the small, uncluttered bedroom with a book-filled living room beyond. Find a joyful yellow bedcover matching a copy of Monet’s ‘La rue Montorgueil’, a snazzy bathroom and a corner kitchen for preparing your own meals after Martinn’s welcoming breakfast; all is beautifully decorated. The neighbourhood teems with busy brasseries, pavement cafés, fashionable shops; easy stroll to Pompidou centre, Louvre, the Marais. Martinn is charming, and eager to share Paris with you. Minimum stay: 3 nights. Reduction in nightly price for longer stays. Extra bed/sofabed for one person available. Minimum age: 23 years old. No parties. Dinner available by arrangement. Restaurants within walking distance. Dinner, €45 per person (with wine). Extra bed/sofabed available €40 for 3 to 7 nights. I would like to echo Dee's comments about Martinn - one could not ask for a more thoughtful, organized, and helpful host. She is an outstanding ambassador for Paris & is absolutely amazing at what she does. The very generous breakfast was delicious; the apartment is in a fantastic location & is very cozy & warmly furnished. The bed was incredibly comfortable & the bathroom thoughfully laid out. The kitchen has absolutely everything one could possibly need - you will not want for anything if you stay here & will be given recommendations for everything you can think of.Very highly recommended! We thoroughly enjoyed our stay in this charming flat, Marais district and Martinn’s warm welcome to the neighbourhood. We loved the well appointed kitchen, the queen sized bed, appliances, and lovely breakfast that Martinn prepared to welcome us. Rue Montegeuill, with its patisseries and fromageri, is a real gem. Key2Paris was an oasis to return to each night without throngs of tourists. 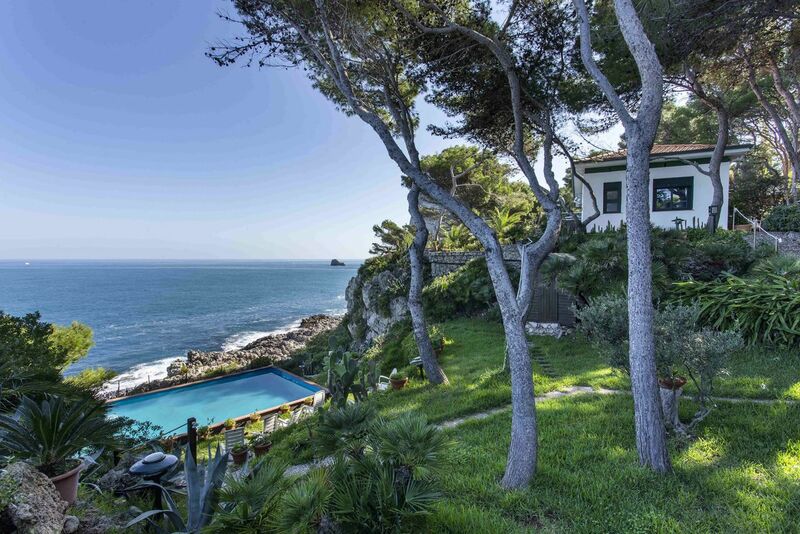 Martinn has curated an immensely enjoyable experience; she is a warm and passionate lady who took time to check in and assist and generously share her knowledge of her city and local gastronomy. Recommended! We can only reiterate what other discerning guests have said about Martinn and staying at wonderful rue d'Argout. We cannot speak highly enough of Martinn's graciousness, generosity, attention to detail, and genuine desire to ensure that her guests get the absolute most out of their stay in Paris. Since the moment of the first inquiry, Martinn was a treasure to deal with and from that initial exchange a friendship grew that far surpasses a regular host/guest experience. We heartily recommend staying at Key2Paris and experiencing Martinn's heartfelt hospitality and authentic neighbourhood. We have stayed in Paris three previous times, and this is be far the best place ever!! Spotlessly clean, perfect location, quiet, convenient to everything and best of all, Martinn (the owner) is the most wonderful host ever!! She is very professional, kind, helpful, full of information, as she has lived in this area most of her life, and always available if you need her. She is also an excellent, gourmet cook, so I highly recommend purchasing her dinner option!! A real treasure, indeed!! Absolutely the perfect Paris location, a nice neighborhood with lots of shops and cafes, but just a few blocks away from the Louvre area. At the back of the building's courtyard, this sweet little hideaway for 2 is so quiet & calm in the midst of the city. The kitchen is very well equipped, and comes with start up breakfast. Martinn is a treasure; a native Parisian who can help plan special interest tours with lots of "insider" information. Martinn has many years of experience in hosting travelers, her genuine warmth & interest in her customers is a real treat. We can't wait to go back! Location, location, location. Couldn't ask for a better location. Quiet at night, yet within walking distance of much of central Paris, several Metro stations and Ile de Cite. Had a great time, apartment is beautiful. Awesome location, so close to everything. Highl recommended. We had a wonderful stay at Martinn's the apartment was fully self contained, clean & a fabulous central location for attractions & transport. Martinn is a wonderful host & very obliging with information & idea's for your visit & if you have the time enjoy a meal with her she is a fabulous chef. Lovely comfortable apartment in the Montorgueil area of Paris. Right in the middle but Montorgueil feels much more Parisian than other tourist areas. Lots of really nice Brasseries and restaurants and local Boulangerie for the early morning bread shop. So much nicer staying in a typical town apartment than a hotel room, and the owner made sure we were welcome and gave us her inside knowledge of the best places to eat and shop. Hope to go again soon! absolutely THE perfect location for a visit to Paris. Steps from the charming pedestrian shopping street of Montorgueil. Minutes walk to the Louvre. The apartment is quiet, cool and private. Exactly as described in the listing. The hostess Martinn, charming, helpful, an excellent cook and immediately responds to any and all requests and questions, she is also fluent in English. Having stayed several times we have absolutely no hesitancy in recommending the apartment. My husband & I stayed there for a little over 2 weeks. We could not have been happier with location, facility & host! Instructions on location, transportation, neighborhoods, accouterments, sightseeing... I could go on and on, Martinn had everything under control. Because we were there for a nice long stay it was a relaxing stay as we did not feel rushed with our sightseeing. Martinn goes out of her way to help with your needs, but also makes sure that you have your privacy. I will have pleasant memories of this trip for a long, long time! We stayed in this lovely apartment this past January. The apartment is fabulously located- a short walk to the Louvre, great restaurants and shops. The kitchen was stocked for the adventurous cook and the breakfast she provided was not only delicious, but lasted our entire stay. We also indulged in a half day tour with our host Martinn, that she customized to our "foodie" passion. This ended with lunch in a local restaurant. It was a wonderful start to our trip and Martinn was very helpful with restaurant and travel information. We hope to return again very soon. What a wonderful experience! We visited our daughter studying abroad in Paris and had a fantastic week staying in Martinn's rue D'Argout apartment. We had researched to walk or take the metro to museums, restaurants and the Seine, and we were able to do that and more. You are within easy walking distance of great restaurants and cafes, and if you would like to cook in, there are grocery stores and markets to purchase fruits, cheese, breads, and anything else you would need. Martinn was always ready to help (we lost luggage) - she is your guide to Paris. We can't wait to go back. 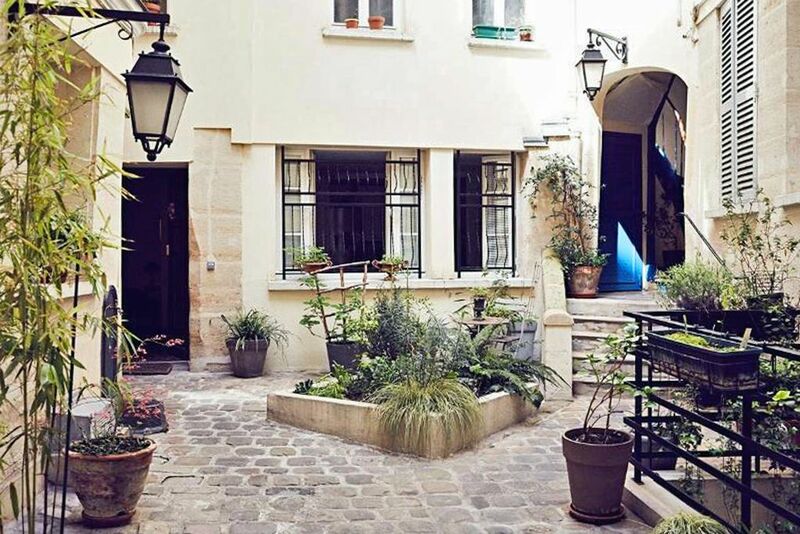 A wonderful quiet and secluded flat in the heart of Paris, a stones throw from buzzing restaurants, the Louvre and an amazing array of specialty shops. Martine is the perfect host and expert guide - follow her advice to the cultural and foodie wonders of Paris! Wonderful base from which to explore Paris. Very comfortable, peaceful and secluded but within walking distance of many of the sights of Paris.A vibrant cafe and shopping street nearby. Martine was a welcoming and excellent host and expert guide. A delightful host welcomed us to her apartment, and helped us to find great nearby cookware stores, restaurants and cafes, and our way around Paris. Her kitchen is the best equipped we have seen in three countries, and supplemented with great books, maps, and quiet nights for sleeping. Rue Mortorgueil is one block away and full of cafes and food shops of all kinds. Martines apartment was an incredible find. It was in an oasis of calm,the courtyard was cobbled with lots of well looked after potted planting. The apartment was clean and very welcoming with good furniture and a really comfotable bed lots of quirky interesting lighting and best of all in a very cold mid January warm. We were spoilt for restaurants the choice on the apartments doorstep was amazeing. Plus the boulangerie to die for..We walked to most museums etc. a thirty minute walk got you to most places plus you saw bits of Paris you'd never see on the Metro ! Welcoming homemade organic breakfast is part of the booking. You can also book a tour or a dinner at our “Table d’Hôtes”. It will allow time to discuss Paris and French culture and add a great deal to your Paris experience! She'll be happy to share with you her passion and her knowledge of Paris, its history, its architecture, and its food, as well as details about French and Parisian culture and tell you about exhibitions and special events. Your host has been a pharmacist on rue Montorgueil years ago but now prefers cooking , baking "crème brûlée" rather than "cold cream" . She is what people call " a foodie". The oldest Pastry shop in Paris ( and a good one with exceptional decor)A Medieval tower at 3mn-walk( Jean Sans Peur), XVII and XVIIIth centuries streets, great Art Nouveau and Art Deco buildings, Gourmet streets , walking distance from Louvre, Beaubourg..
Former wholesale food district "Les Halles" Still many gourmet activities and shops.